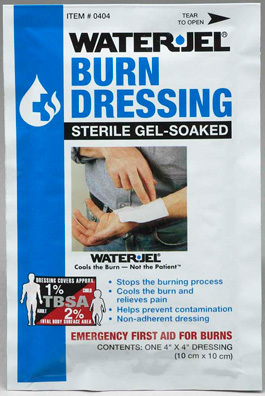 4" X 4" Burn Dressing - Sold by the each. A small square-shaped dressing designed to fit the palm of the hand, a commonly burned area, or the back of the hand, near the knuckles. 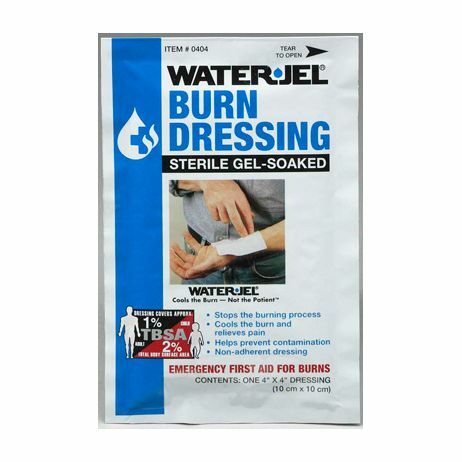 Gel-soaked, medical-grade nonwoven material. Sterile and foil-packed. Shelf life: 5 years from date of manufacture. TBSA: Adults 1%, Child 2%.